Put simply, ComplianceMonitor helps you to comply with the Health and Safety at Work regulations 1999, in terms of your duty of care for managing work-related road safety. 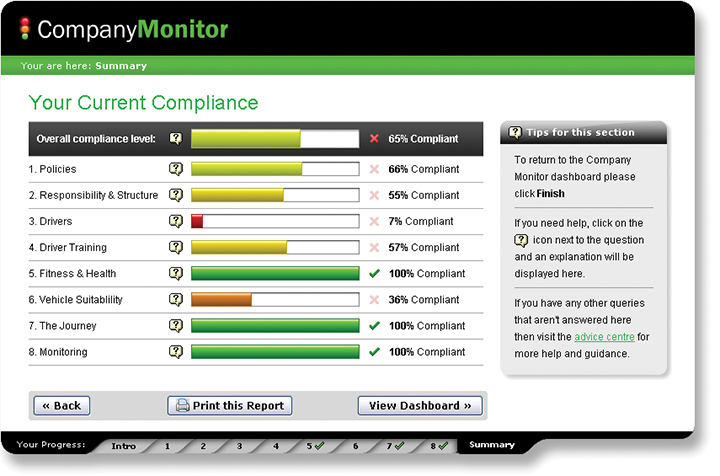 ComplianceMonitor is a user-friendly way to ensure your business complies with the government legislation using a visual step-by-step approach. 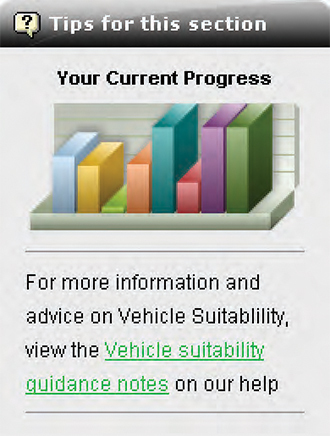 The system has been built around the HSE’s ‘Driving at Work’ policy and gives you a traffic light system to view your progress.